Every diver wants to be a "good diver". The perfect control of buoyancy is the first step in that direction! Good control over your buoyancy can only be controlled with the right training. The SSI Perfect buoyancy program will help improve your swimming balance as well as your effort so that you can better control your air consumption. In addition, good control over buoyancy is the best skill for environmental protection. Almost every diver who wants to dive at beautiful places during the holidays is requested to do a Check-Dive and the control of buoyancy is one of the essential skills that must be demonstrated. This does not happen in order to stress divers on holiday, but to protect reefs because some of all divers have only moderate control of buoyancy. The devastation and damage caused by divers with little trim skills is enormous worldwide. Especially if you take into account the fact that some species of corals grow only a few millimeters per year. Moreover, perfect control of buoyancy is a prerequisite for almost all specialty courses, from which it can be concluded that Perfect buoyancy is a 'must' for any serious diver. The program is given in combination with at least 2 open water dives where all knowledge and techniques are applied under open water conditions. Number of dives: For the SSI Perfect Buoyancy specialty we make two dives. 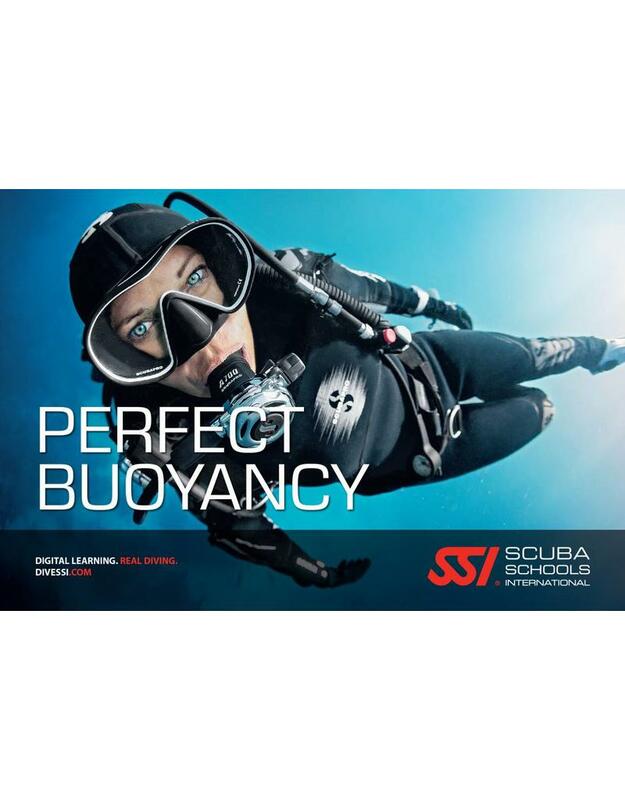 The SSI perfect buoyancy specialty course can be followed at our diving school in Vinkeveen and Almere 7 days a week between 09:00 and 23:00 h. Call or email us directly to record your date or book directly online and we will contact you. to make an appointment when it suits you! Diving equipment: During the SSI perfect buoyancy specialty course you use Your own diving equipment or You can rent the necessary diving equipment with us!